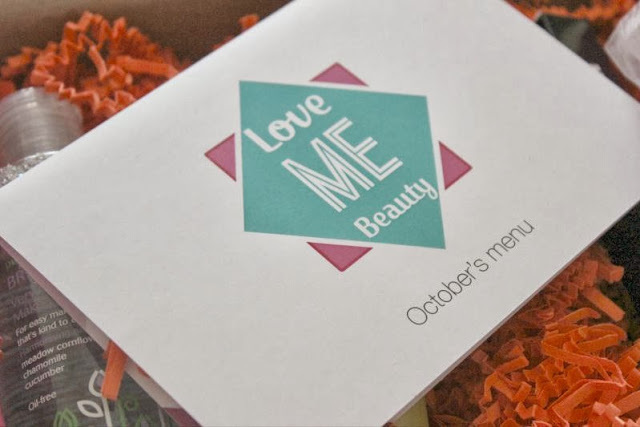 Here is what was inside my box - do keep in mind the company offer three various boxes each month so there is no surprises just the goodies that you hand picked. 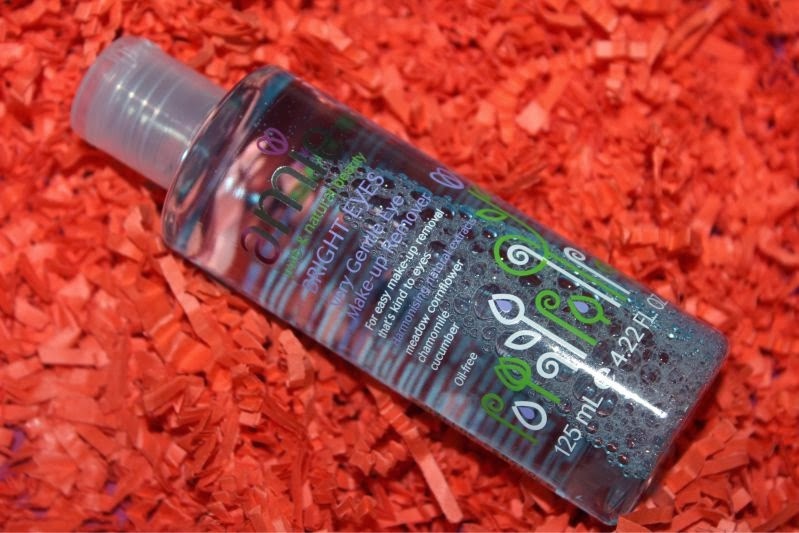 Amie Bright Eyes Very Gentle Eye Make-Up Remover - This is an oil free formula that smells truly lovely which is not always the case with eye make-up removers. It feels light and cooling on the delicate eye area but is not quite powerful enough to remove waterproof mascara other than that it I rather enjoy it. 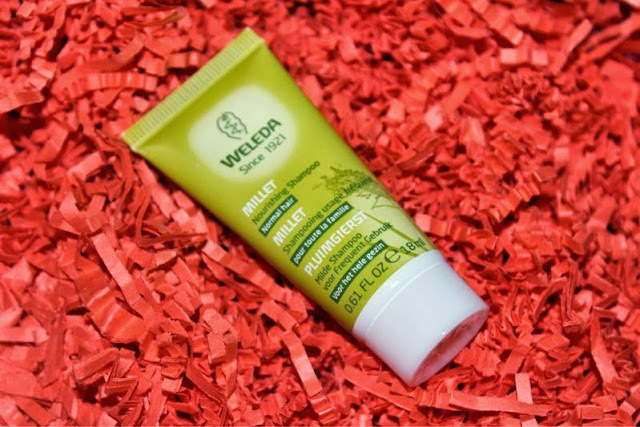 Weleda Millet Nourishing Shampoo - I am a huge fan of Weleda so far all the products from such brand that I have tested have not let me down and this is no exception. My gosh does this shampoo smell amazing almost citrus like yet earthen at the same time. I like how this shampoo thoroughly cleansed my hair and has left it with a great sheen. Sadly this is only a sample sized tube so I'll maybe get another two uses before having to purchase a full size! Balm and Balm Indulge Bath and Shower Oil - A rich, warming shower oil (in my case anyway) that feels truly amazing on the skin cocooning it both in moisture and fragrance. If you want a quick fix for baby soft skin with a great fragrance this is the answer. 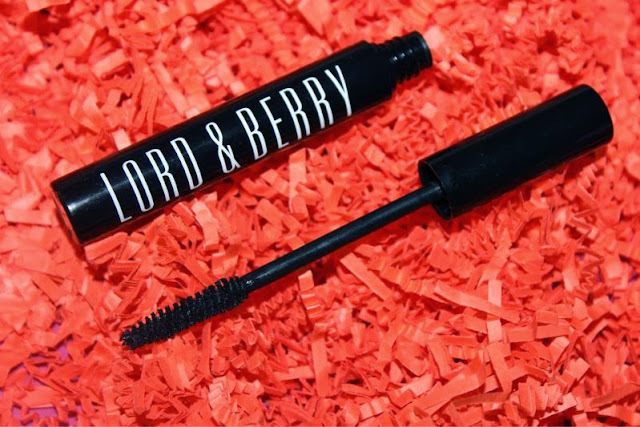 Lord & Berry Scuba Waterproof Mascara - A blacker than black mascara that adds a little length and volume but not the best I have ever used. It is very waterproof so it could come in handy for a weepy film or the winter weather which is firmly on it's way. 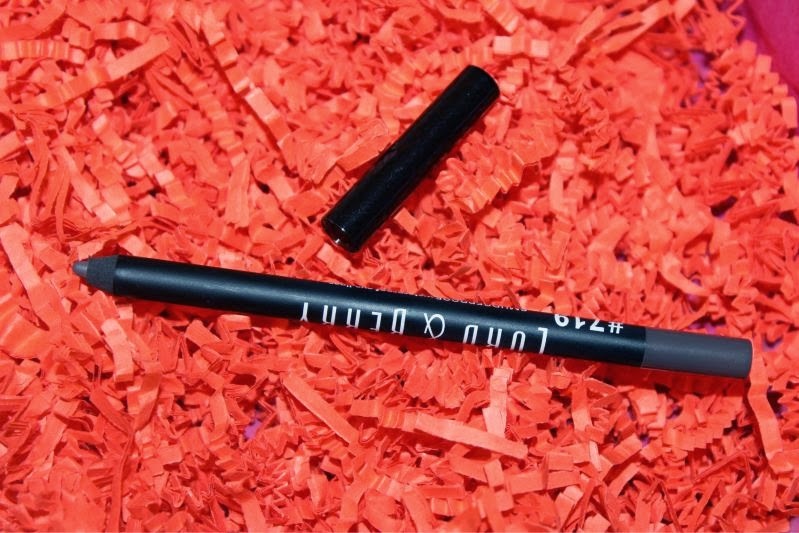 Lord & Berry Smudgeproof Waterproof Eye Liner in Smoke - Lord & Berry don't get enough credit some of their products are truly amazing. In my opinion this liner is on par with the links of Urban Decay 24/7 liners in that it has an almost gel like formula that locks and dries down to a waterproof finish. Looks a very nice box. Here in Spain boxes are getting better but they have a long way to catch UK or USA! Love these contents, and I love the idea of being able to choose and not being disappointed too. This box content looks amazing! Love the look of this box. This box looks fantastic. Am tempted. Very tempted. Lovely post! I am so excited for my box to arrive, it needs to hurry up. Some good stuff in this box!